We know that men are swiping right and left on mobile apps in record numbers, but this study and infographic from Liftoff shows that it’s the women in North America who are more serious about finding a relationship on mobile apps than the men. 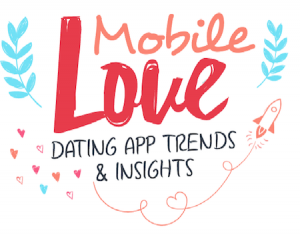 The Liftoff team analyzed 20 of the top dating apps, with almost 3 billion dating app impressions, to see who was signing up for mobile apps across the world. Does this mean men are swiping for hookups or convos only? This research calls women in North America “swipe happy,” and you thought men were swiping the most, right? This study shows that compared to other popular app categories, dating apps have a much large user base with 91 million users worldwide, many of which open their mobile app over five times per day! While many singles are in a swiping frenzy to find that last minute Valentine’s date, this research shows the busiest time for mobile dating apps is during the summer, when the heat rises online and IRL. 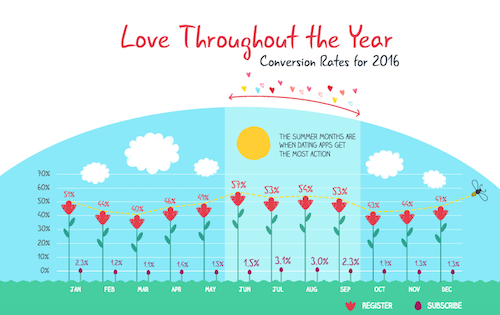 Liftoff says registration rates for mobile dating apps peak in June and remain hot and heavy through September. Think summer romance? Probably so. Other findings include that females register 100% more than men on Android and 107% than men on iOs. What does this mean for singles looking for love on their mobile phones? It shows the level of intent for women, so guys, start getting serious, because the squeaky deal wins the mobile dating love lottery.